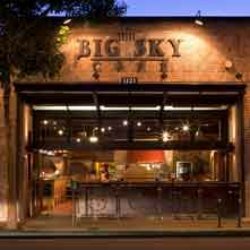 The owner of Big Sky Cafe in San Luis Obispo has stopped serving Justin Vineyard wines after learning that the company had clear-cut oak woodlands. Since Stewart and Lynda Resnick bought Justin Vineyards in 2010, they have cut down thousands of oak trees from properties they purchased in the North County. Owner Greg Holt told KCBX he decided to remove the wines from his menu because of the company’s removal of oaks trees. Local residence have also voiced concerned with Justin Vineyards using underground water sources to fill large reservoirs during a drought. A group of locals has asked that county residents boycott products produced by companies owned by the Resnicks. In addition to Big Sky Café, Pappy McGregor’s Pub and Grill, Thomas Hill Organics and Fish Gaucho are planning to stop carrying Justin Vineyard wines. In 2013, CalCoastNews exclusively reported on the Resnicks’ purchase of the Hardham Ranch in Paso Robles. Before the Beverly Hills billionaires acquired the 747-acre property, it had been used for dry farming and cattle grazing. After they purchased the ranch, the Resnicks removed oak trees, planted vines and installed two large reservoirs said to hold a total of 184 acre feet of water. At the same time, the neighbors wells were going dry and Resnick employees were lobbying San Luis Obispo County Supervisors to promote a proposed Paso Robles basin water district. Supervisors Bruce Gibson, Adam Hill and Frank Mecham then voted in favor of curtailing the normal process and bringing the proposed district to a vote. However, 77 percent of voters rejected the proposed district earlier this year. A snipit from the Forbes rag. Maybe they should deliver some water to Porterville eh? Ted, Feel free to list the ones that really are cutting down trees vs having the word “farm” in the business name.